February is the season of buds, and mild mannered gardeners everywhere are getting hot under the collar about bullfinches. For the rest of the year these heavily built, boldly coloured finches are welcomed into the garden and enjoyed for the intensity of their colours. But in the early spring both sexes, the male with a cherry-red breast and the female, more soberly coloured in plum, are the scourge of the fruit grower and the lover of blossom. With their favourite tree seeds now exhausted in the wider countryside, these mild mannered beauties turn their attention to soft vegetable matter. And the best place to find that is gardens and orchards. If you find yourself running outside and shaking your fist helplessly at one of these bud-guzzlers, you can be assured that it was ever thus. Bullfinches have been irritating people for about five hundred years. In the sixteenth century every bullfinch had a price on its head: a penny was awarded for ‘everie Bulfynche…that devoureth the blowthe of fruit’. And do they devour; a bullfinch can eat up to forty five buds a minute, and will strip a whole branch during a single surreptitious visit to your well-tended fruit trees. 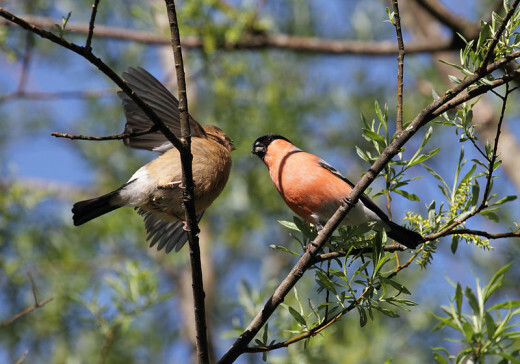 Does the European Bullfinch make a good pet? Is the right bird for me? A website that actually offers proof that bullfinches are sold as pets. 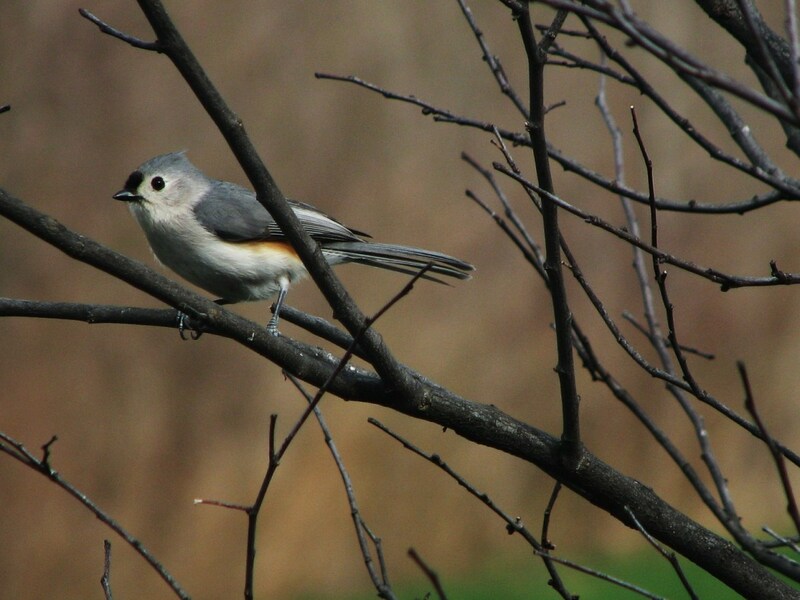 An interesting article offering more information on bullfinches and their impact on fruit tree buds. Buds and blossoms don’t yield much energy. It might be no consolation to the owner of an affected fruit tree, but the bullfinches would much rather be feeding on something else. They would prefer to be consuming ash seeds, for example, a special favourite of theirs. But the ash tree is a fickle plant; some years yield an excellent crop, enough to keep bullfinches out of mischief far into the spring, but other years are more disappointing, forcing the birds to look elsewhere. So, bullfinches are as reluctant guests in your garden as you are host. 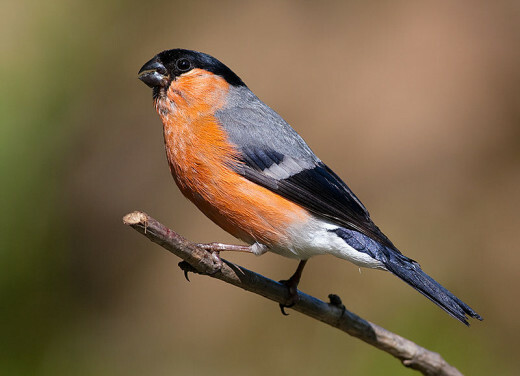 At one time the bullfinch’s potential threat to the livelihoods of commercial fruit growers was recognised by law, and in the hotspots of southeast England and the Midlands it was possible to cull bullfinches on licence. The problem was that, when the bullfinch consumed the flower buds, it destroyed the chance of the same bit of branch fruiting later in the season. The culling never did much good, though, because the bountiful crop drew birds from a wide area, and the same numbers kept coming back year after year. 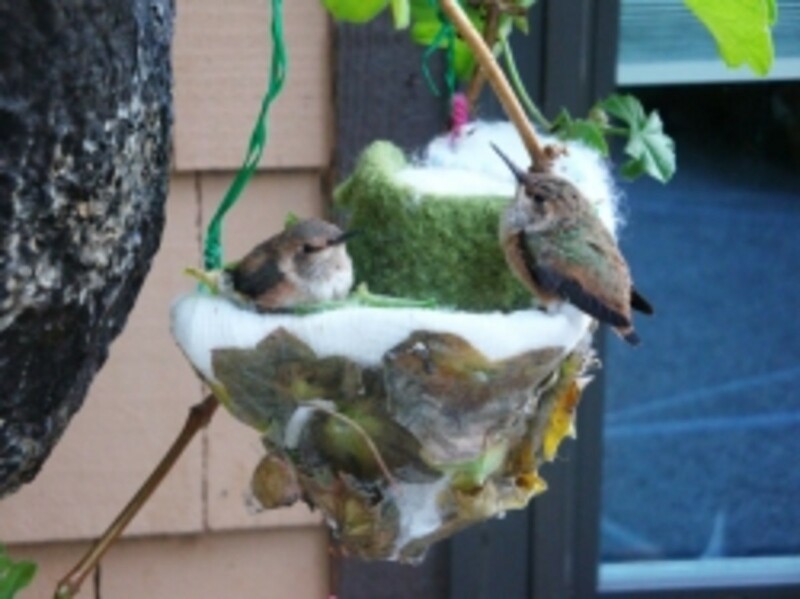 Studies showed that the birds were particularly choosy, preferentially going for certain types of buds, and indeed even for certain varieties. The main damage caused was to pears, plums (especially Golden Gage) and gooseberries between January and March, and to blackcurrants a little later. Much less harm came to crops of apples. 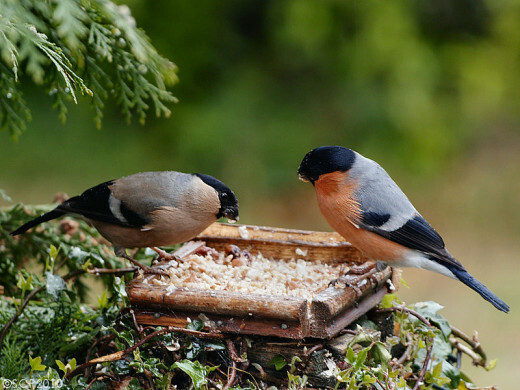 Since a peak in the 1950s to the 1970s, however, the bullfinch population in Britain has fallen into decline, and fruit growers now hardly ever see significant damage by these broad billed birds. The species has now been taken off the general licence to control, making culling illegal, and where once the bullfinch was regarded as an agricultural pest, it is now a cause for conservation concern. The cause has nothing to do with buds or orchards, though. It is almost certainly the result of the wider scale destruction of hedgerows, and the modern intensification of farming, with the resultant loss of seed yielding winds such as nettles, docks and dandelions, which bullfinches love. With the species in retreat, it is now difficult to justify resenting its periodic intrusions into our gardens. Not only is the bullfinch beautiful, but it’s becoming scarce, too. If you fruit tree cultivators should require further consolation, then be aware that most bullfinches do no major damage at all, even when they do occupy the gardens for a few weeks in the early spring. It takes a 50 per cent reduction of a tree’s buds to have any impact on its fruit yield in that season, and that’s a lot of work required by a lot of bullfinches. There will be plenty left over. In the last few years bullfinches, ironically have begun to come into gardens in much larger numbers, not because of buds but because of bird tables. They were once so shy, and had so many other options available, that they avoided too much contact with people. But now, it appears, they have little choice. With wild food dwindling out in the countryside they have learnt to visit feeding stations, as so many other birds have, and have been forced to be less reticent. Now you are as likely to see them tucking into black sunflower seeds as you are buds. So now you have a solution to the bullfinches’ eating buds in your garden. Give them a good meal elsewhere, and the damage will be insignificant. It’s a pity they didn’t realise that five hundred years ago. You're right Ann, I'm sure if birds could think like us, then they would regard us as the pests. Because, really we are, we're the ones that destroy their natural habitat after all. Thank you for popping by. Thanks bac2basics, interesting to hear that you're already hearing bird song in Spain, just goes to show that spring is gradually working its way up through Europe.Soon, we'll be hearing bird song in Britain. In fact I've already heard the odd dunnock and song thrush. I agree with you about the trapping tradition, I wouldn't be surprised if that's what caused the decline of the likes of cuckoos, nightingales and swifts. As you say unnecessary! Hi JK. I love wildlife in almost all it´s forms , so this hub was a real treat for me. Birdlife is increasing around my home in Spain just now as some species have returned from overwintering in Africa and other places, I can hear birdsong every day now and just love it. I have been throwing seed onto my shed roof for the past week or so to make sure these welcome visitors have something to eat as a lot of vegetation ( seed bearing and otherwise) was destroyed in the forest fire we had here last summer. It´s such a shame that so many migrating birds are still trapped for the mouthful of meat they offer, I think it´s a cruel and unnecersary tradition, but sadly still thrives in Spain and France. I know, SG, squirrels seem to be a universal problem...for some anyway. Personally I don't mind them, they're such intelligent creatures, I can't help but be mesmerised by them. Thanks for popping by. No problem at all Deb, thank you for popping by. No bull finches down my way. I have enough trouble keeping the squirrels from eating all my young fruit! 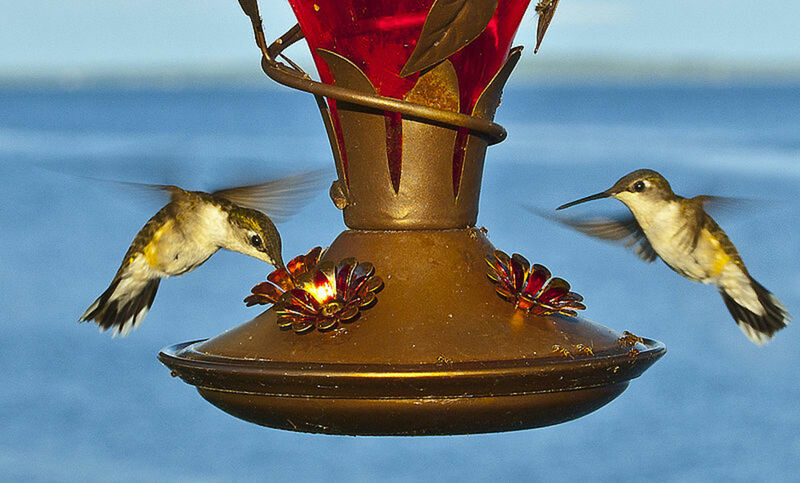 They are beautiful birds! They are such beautiful birds, James. Thanks so much for the introduction to them. Now tell me more about your other birds. No problem at all Imogen. I have seen bullfinches in my garden, but only as passing visitors. Whenever I see one, my eyes always light up because I never expect it. Thank you maggs, it's one of the most beautiful birds you'll see, and its always a treat as they are comparatively rare among songbirds. Thank you very much rfmoran. My yard is alive with bullfinches. I try to keep them happy by keeping my bird feeders full. Good informative hub, voted up useful and interesting. What a delightful hub James, I love the photographs, the Bullfinch is certainly a very good looking bird. I found this to be a very interesting hub and if you are a gardener a very useful one too. O good. A way was found to have the buds and the birds..Good good good. I had to read quickly so I could see the resolution of this issue. I love birds and was hopeful. Very interesting hub! Nice that there is such an easy solution too.